Hedera helix, more commonly known as English Ivy, are beautiful, leafy-green ornamental plants popular in all types of gardens. They make low-maintenance ground covers and can be easily trained to climb up any fence, home, tree, trellis or rock structure to add a splash of color and old-world charm. While spring is the ideal time to transplant ivy into your garden, it can also be done in the fall if you take some precautions. Start seeds or establish cuttings a year before you plan an autumn transplant. Overwinter the plant indoors or in a cold frame in pots. Alternately you can purchase well-established starter plants from a nursery two to four weeks before you are ready to transplant them. Choose a location for growing ivy with the best possible growing conditions. While English ivy will adapt to a wide range of conditions, it will grow faster and bushier if it gets plenty of sunlight and is planted in rich, well-draining soil that is slightly on the acidic side (pH 6.5). Use a soil testing kit if you are striving for optimum conditions and add the soil amendments recommended by the lab. Harden off plants for at least one week before planting. Place plants outdoors in pots on the spot you plan to transplant them, starting for an hour each day. 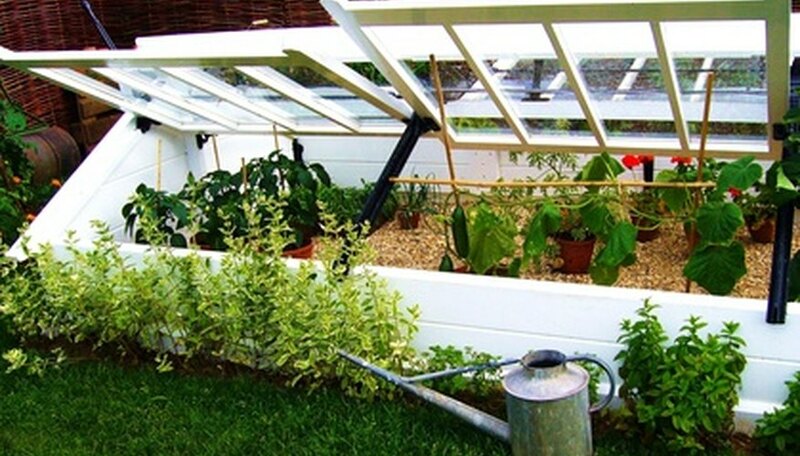 Gradually increase the time outdoors by an hour each day until the plant is outside all day. Transplant the ivy as early in the fall as possible. 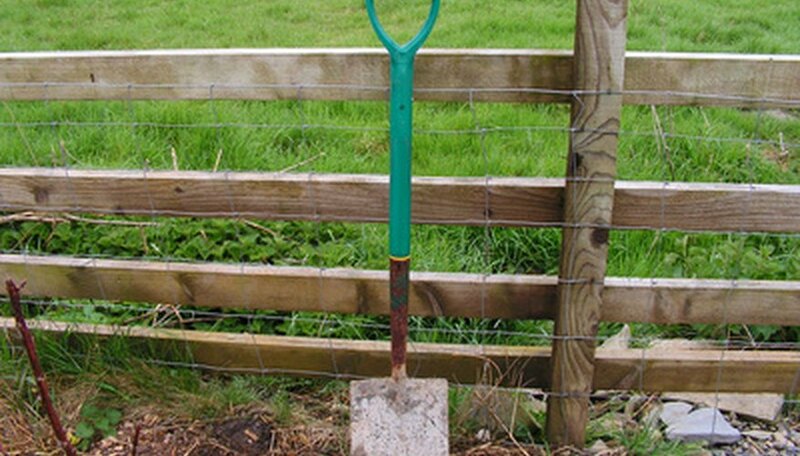 Break up the soil to a depth of 12 inches using a garden spade or fork. Looser soil will help English ivy take root more quickly and more deeply. Transplant your ivy by sinking the soil line of the starter plants 1 to 2 inches lower than the soil line of the ground. 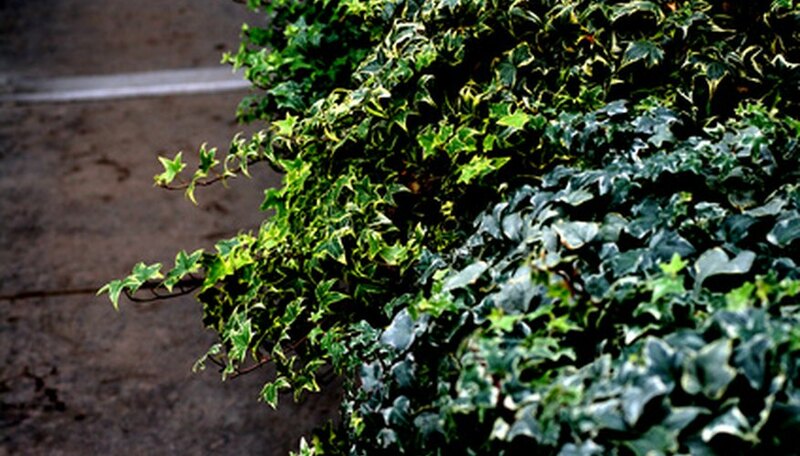 Protect your Hedera helix if you live where the weather is blustery or temperatures drop to freezing in the winter. You can do this by setting up wind breakers, laying down a heavy layer of mulch, or covering the ivy with black plastic garbage bags overnight or during brief cold snaps. Water your ivy lightly, but regularly, over the winter. 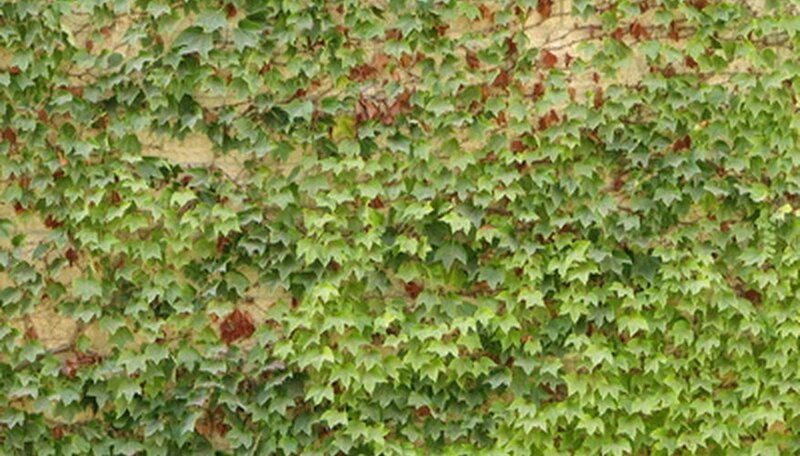 English ivy does not tolerate drought, but it does not require a lot of water during the cold weather. Fertilize in the early spring with 15-5-15, or an all-purpose water-soluble fertilizer, to promote a growth spurt. Apply and calculate the amount according to the fertilizer brand instructions. Apply fertilizer every six to eight weeks through the spring and summer. Check with your local extension office to see if it is legal to plant English ivy. In some states growing ivy is illegal, or strongly discouraged, because it is considered invasive and is killing natural woodlands.